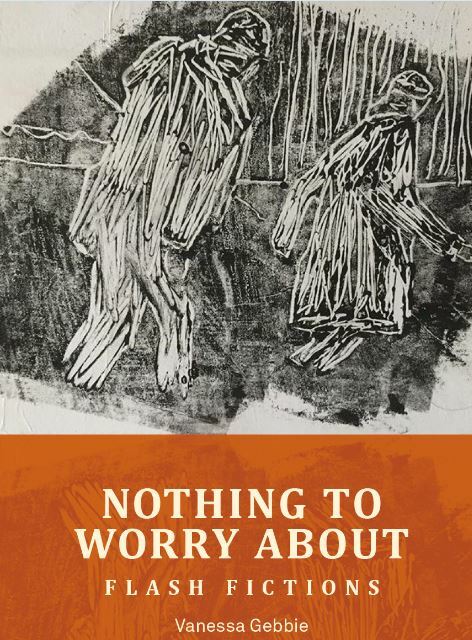 Nothing to Worry About is published as an A5-sized chapbook. It is the fourth in a series of chapbooks of quality flash fiction published by Flash: The International Short-Short Story Press. Vanessa Gebbie is a writer of stories from 10 to 100,000 words. She is author of the short-fiction collections Words from a Glass Bubble (2008), Storm Warning: Echoes of Conflict (2010), A Short History of Synchronised Breathing and Other Stories (2017), and Ed’s Wife and Other Creatures (with illustrations by Lynn Roberts; 2015). Also the novel The Coward’s Tale (2011) and the poetry collections The Half-Life of Fathers (2013) and Memorandum: Poems for the Fallen (2016). She is editor of the textbook Short Circuit: A Guide to the Art of the Short Story (2009/2013), which includes craft chapters by 26 acclaimed writers of the genre. Vanessa has taught for the Arvon Foundation, New Writing South, The Arts Council, London’s Spread the Word and The Word Factory, Nottingham Writers’ Studio, Vienna Writers’ Studio, and Creative Retreats in Venice, as well as at literary festivals, schools, and universities. She frequently mentors other writers. Her work has been supported by an Arts Council Grant for the Arts, by residencies at Gladstone’s Library in the UK and Anam Cara Writers and Artists’ Retreat in Ireland, and by a Hawthornden Fellowship.